The “Ice Bucket Challenge” has drawn so much attention via the news and the Internet recently. It’s so great that so many people have been motivated to try and help find a cure for ALS, or Lou Gehrig’s disease. It’s ever greater that we are raising awareness of a disease that many know nothing about because together we can wipe out disease. It is a big concern that most of that funding will go toward finding a pharmaceutical drug that will ATTEMPT to treat the disease. Which saddens me, because we already have natural remedies that can greatly REDUCE your risk of ALS without having to take a dangerous drug. Let’s talk about this for a minute. One thing we could do right now to stop ALS is to stop statin drug prescriptions. Did you know that there’s a connection between this cholesterol-lowering category of drugs and ALS? But no one paid attention to the reports. Mainstream medicine even ignored the evidence from researchers at the University of California, San Diego. 1) Vitamin B12 is a good example. We’ve known about its benefits for ALS patients for years. When you give people with ALS high doses of methylcobalamin, the most absorbable form of vitamin B12, they can move around much better and with less pain. They get a huge increase in muscle action potential amplitudes (CMAPs).3 That’s the measure they use to find how well and ALS sufferer can move around. A normal dose of B12 won’t do the trick though. In the study, people who got .5 mg a day showed no improvement in movement. You need much more. Liver, red meat, clams and other shellfish are the best natural sources. That’s because B12 is only produced in the gut of animals. You can’t get it from plants. They don’t need B12 so they don’t store it. But animals do. You can also supplement, but be aware that as you get older you may have difficulty absorbing vitamin B12. So use the most absorbable form which is methylcobalamin. It’s the active form of B12 that’s ready for your body to use. In addition, it’s the only form that can cross the blood brain barrier, so you can get it where you need it most. For brain protection, take at least 2,000 mcg per day. 2) The second thing to do is make sure you get enough omega-3s. I talk to you about these healthy fats often, and this is why. The mountain of evidence showing how omega-3s improve your health and protect you is staggering. A new study out of Harvard I found when I was doing research on this – which hasn’t even been printed yet – looked at over 1 million people and their risk for ALS. It shows that high intake of omega-3 fatty acids can reduce the risk of ALS by 40-60%.4 Now that’s astounding! Show me a drug that does that. A good source of omega-3s is to eat more small oily fish like sardines or herring. Sardines are at the bottom of the ocean’s food chain. They only feed on plankton so they don’t build up heavy metals and other contaminants in their flesh like larger fish do. Make sure you get more than 3 grams of omega-3 a day for complete brain protection. Coconut oil has been shown to play a vital role. Coconut oil contains medium chain tri-glycerides (MCT) which are processed and metabolized in the liver into ketones. Ketones penetrate the brain blood barrier and provide an alternative fuel source for the brain cells. Coconut oil is anti-viral, anti-fungal, and anti-bacterial and if the addition is not carefully managed it can result in extreme detoxification symptoms, which some people put down to being allergic to the oil. That is not the case, they need to just start a LOT more slowly, even 1 teaspoon a day with meals. For More help call our office today 813-968-5404. 1. Edwards I, Star K, Kiuru A. “Statins, neuromuscular degenerative disease and an amyotrophic lateral sclerosis-like syndrome: an analysis of individual case safety reports from vigibase.” Drug Saf. 2007;30(6):515-25. 2. Golomb B, Kwon E, Koperski S, Evans M. “Amyotrophic lateral sclerosis-like conditions in possible association with cholesterol-lowering drugs: an analysis of patient reports to the University of California, San Diego (UCSD) Statin Effects Study.” Drug Saf. 2009;32(8):649-61. 3. Kaji R, Kodama M, Imamura A, Hashida T, Kohara N, Ishizu M, Inui K, Kimura J. “Effect of ultrahigh-dose methylcobalamin on compound muscle action potentials in amyotrophic lateral sclerosis: a double-blind controlled study.” Muscle Nerve. 1998;21(12):1775-8. 4. Fitzgerald K, O’Reilly E, Falcone G, McCullough M, Park Y, Kolonel L, Ascherio A. “Dietary ?-3 Polyunsaturated Fatty Acid Intake and Risk for Amyotrophic Lateral Sclerosis.” JAMA Neurol. 2014 Jul 14. Epub ahead of print. 5. Maki K, Reeves M, Farmer M, Griinari M, Berge K, Vik H, Hubacher R, Rains T. “Krill oil supplementation increases plasma concentrations of EPA and DHA in overweight and obese men and women.” Nutr Res. 2009;29(9):609-15. 6. Hwang L, Liang J. “Fractionation of urea-pretreated squid visceral oil ethyl esters.” Journal of the American Oil Chemists‘ Society 2001;Volume 78, Issue 5, pp 473-476. For More Information: Call Dr Elena Morreale (Alternative Cancer and Health Therapies, Tampa, FL) 813-968-5404 . Do You Suffer From Night Time Binges? Do you sometimes sneak a late-night snack, even after you’ve had a big dinner? Or worse, do you find yourself binging at night? You are not alone! Are you hungry after a big meal? Do you continue eating late into the night? Millions suffer from this devastating problem that leads to obesity, diabetes, and depression! So, if you eat late at night just before bed, you will gain weight and get pre-diabetes. Your body will store the extra calories as fat instead of processing and burning them. So, how does this happen? Have you ever thought about why, even after a big meal, you crave more food, more sugar, and more junk, and you want to have chips or sweets or other unhealthy foods? What is the root cause of this, and how do we deal with it? It’s not a character flaw or an emotional issue that you have to fix. It’s not some psychological trauma that you have to get over (although for some, night eating is triggered by stress). It’s simple biology. All you have to do is understand why these changes happen in your body to make you crave food late at night, and then, you can overcome them. The underlying cause is an imbalance of the hormones that regulate your appetite. These are what I call the four hormones of the apocalypse. There are specific things that trigger each of them, and if you understand how to balance them, you won’t have cravings for sweets and other foods…and you won’t be eating late at night. Leptin – This is the brake on your appetite. Leptin says to your brain, “Oh, I’m full. I don’t need any more food.” When you eat a lot of sugar, processed foods, and flour, the leptin doesn’t work anymore. Your brain actually becomes leptin resistant. There is also one other hormone we need to consider: cortisol, the stress hormone. When you’re stressed, your cortisol level goes up, and when that happens, you get hungrier and your blood sugar and insulin levels rise. This sets the stage for pre-diabetes or insulin resistance, and it’s a vicious cycle. So, all these hormones have to be kept in balance. How do you get them in balance? It’s very simple. Here are the 8 steps you should take to balance your hormones, stop the cravings, and end the nighttime binges. Eat breakfast: This is the key strategy to stop the nighttime cravings. Of course, if you are binging at night, you probably won’t want to eat breakfast, because when you wake up, you’re still full. So, you have to break that cycle, and you have to start with breakfast: a good, protein breakfast. There are two breakfasts that I love and use all the time. The first is eggs in any form you like: as an omelet, fried, or poached. Eggs are a great source of protein that helps balance your blood sugar. Be sure to eat WHOLE eggs, not egg whites. The second is a whole food protein shake that can be made quite simply. I keep all the ingredients I need in my cupboard, so it’s ‘goof-proof,’ and I don’t have to think about it. It’s all there. I put in hemp seeds, chia seeds, pumpkin seeds, walnuts, almond butter, coconut butter, frozen cranberries, frozen wild blueberries, and a little unsweetened coconut milk. I put those ingredients in the blender, and it’s fantastic. If you have one of those for breakfast, it’ll keep your blood sugar even all morning and all day. Don’t drink your calories: If you have sugary, liquid calories in the form of sodas, juices, lattes, sports drinks, or iced teas, it will spike your insulin and blood sugar and will cause cravings. Make sure you eat regularly: Have breakfast, lunch, and dinner. If you want a snack in between, that’s fine, but make sure you eat at regular rhythms and regular times. Your body is a hormonal clock, and you have to eat in rhythm to keep it in balance. Have protein and good-quality fat at every meal: Good fats are nuts and seeds, avocados, coconut, olive oil, or quality protein like chicken, fish, or grass-fed meat. Some combination of these (plus lots of vegetables) balances your blood sugar. Find your pause button and soothe the stress: Stress makes you fat (and over eat); relaxing makes you thin. Learn to find your pause button and de-stress. Breathing, yoga, and exercise are some of my favorite ways to reduce stress, which helps reset the hormones, balance brain chemistry, and stop the cravings. Prioritize sleep: If you don’t sleep, you will be hungry, especially for carbs and sugar. Why? Because when you deprive yourself of sleep, ghrelin, the hormone that drives hunger goes up and PYY, the hormone that makes you feel full, goes down. So, if you want to lose weight, sleep it off. Find your food sensitivities: People don’t realize this, but you often crave the thing you’re allergic or sensitive to. And gluten and dairy are among the biggest triggers for food sensitivity. Try to get rid of these for a few weeks and see if your cravings stop. Supplement to cut cravings: There are natural molecules that balance your blood sugar and your insulin and help stop the cravings. Omega-3 fats,especially fish oil—a couple of capsules a day can really help. Vitamin D also helps regulate hormones and balance insulin. Chromium, lipoic acid, N-Acetyl Cysteine (NAC) can also help cut cravings. Your Health Is Our Priority, We are here to Help. It’s never the ideal time to be affected by belly bloat, but dealing with it during bathing suit season is just that much worse. The main reason behind uncomfortable bloat is an imbalance of the healthy bacteria in the gut. This is what happens when you eat foods that cause your stomach to bloat shortly after you eat them. “We have more bacteria in our body than we have cells in our body, and these bacteria are creating havoc,” Dr. Steven Lamm, Medical Director of the Preston Robert Tisch Center for Men’s Health at NYU and author of No Guts, No Glory: Gut Solution-The Core of Your Total Wellness, explains. “These bacteria are part of our immune system and digestive system, but for some people, the nature of the ‘good’ bacteria have been altered and the bacteria are fermenting, (a metabolic process that converts sugars to acids, gases and/or alcohol).” That’s what causes bloating. The promising news—following a few basic guidelines should relieve the majority of sufferers. Here’s how to deflate that balloon and make your abs look flatter within seven days (if not sooner). “Taking in excessive amounts of air, otherwise known as aerophagia, can be one cause of belly bloat and intestinal pain,” states Lamm. This happens when large quantities of inhaled oxygen fails to absorb into the small intestine (which would get burped out), but instead lingers in the abdomen, creating bloat and discomfort. A few ways to avoid sucking in too much air include; drinking without a straw, chewing more slowly, limiting the amount of talking-while-chomping, ditching the gum, hard candy and cigarettes, as well as keeping calm (because anxiety tends to bring on fast talking, another culprit of extra air ingesting). There are some starchy foods that get fermented in your gut (causing gas, bloating, diarrhea) because your body can’t properly digest them—white carbs, wheat, legumes. You want to stay away from these. Also eliminate anything containing sugar or sugar substitutes. Lamm suggests quenching your thirst with drinks that contain anti-inflammatory and health-promoting properties. His top two choices: green tea (which has been shown to possibly reduce inflammation associated with Crohn’s disease and ulcerative colitis, two types of Irritable Bowel Syndrome) and dark cocoa (one tablespoon of 70 percent or higher, mixed with either rice or almond milk since dairy can contribute to belly bloat). In fact, a recent research presented at a meeting of the American Chemical Society states that dark chocolate encourages the good bacteria in the gut to produce anti-inflammatory compounds. As for what not to drink—alcohol and fruit juices since both are high in sugar, as well as carbonated beverages, which cause gas. If you’re looking for additional assistance, taking probiotic supplements is another way to help rebuild the healthy bacteria that is essential for good gut health. Also, if you are constipated (not having two or three normal bowel movements a day), consider taking magnesium citrate capsules. Remember digestive enzymes as well. For further information on how to improve your gut health call our office today 813-968-5404. Nutrition and diet affect all aspects of our wellness. As we age, however, key nutrients and foods become even more crucial to help protect against serious illness that can cause aging eye health concerns such as macular degeneration, presbyopia, blepharitis, cataracts and glaucoma. The lens, nerves and smooth surfaces of the eye are all subject to the normal aging process and free radical damage. And while certain antioxidants offer your eyes superior protection, another very important reason to focus on eating a well-balanced diet is to maintain weight and help reduce your likelihood of developing diabetes, the leading cause of blindness in older adults. Avoiding refined sugars and processed foods such as high-sugar cereals, pastries, white breads and white rice can help minimize both free radical damage to the eyes as well as diabetes risk. Let’s explore the top six nutrients and foods that can maximize eye health and help prevent damaging effects of the eye aging process. A 2012 study in The Journal of Investigative Ophthalmology & Visual Science highlighted omega-3 fatty acids for their preventive effects of aging eye concerns. Essential fatty acids help nerves and muscles that control eye movement and are easy to include in your diet. It’s an oldie but a goodie: vitamin A it critical for eye health. Essential for the retina to perform properly and maintain elasticity of the lens, a deficiency of vitamin A could actually cause eye problems such as presbyopia. Presbyopia is when the lens loses elasticity, but this condition can often easily be corrected with the use of contact lenses. 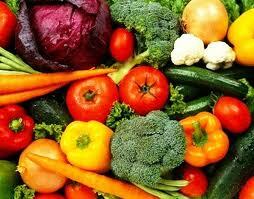 Foods rich in vitamin A include sweet potatoes, beef liver, herring, cantaloupe, cod liver oil and carrots. To help protect aging eyes against macular degeneration and cataracts, consume high levels of lutein-containing foods such as kale, collards, broccoli, eggs and green beans. Responsible for nerve health of the eye, vitamin B12 is found in foods such as beef, eggs, mackerel and crab. Found sparingly in vegetables, vegetarians and vegans may need to supplement beyond food. If you consider a B12 supplement, be sure to opt for the active form methylcobalamin for optimal absorption. The American Optometric Association suggests that vitamin C can improve visual acuity. Vitamin C is abundant and easy to reap from watermelon, oranges, mangoes, papaya, red peppers and kiwi. Magnesium is responsible for helping conditions like presbyopia and macular degeneration where ocular muscles have become weakened. Try consuming kidney beans, wheat germ, peanuts and lentils as well as green, leafy vegetables such as spinach, kale and collards. The chlorophyll compound cages a magnesium, so any green veggie offers up a nice boost of this eye-protecting mineral. I recommend if you can afford it, however, you get a full blood panel and have a bioidentical specialist interpret it and get a compounding pharmacy to make your prescription supplements. Some practitioners are nurse practitioners, others N.D.’s, M.D.’s, even chiropractors with additional training. Law requires your practitioner to get your blood tested every six months to make sure your hormones are at appropriate levels. Unfortunately most insurance companies do not cover the full blood panel for a holistic practitioner—or much of anything that practitioner does, actually. Suzanne Somers believes bioidentical hormones saved her life, now well over a decade past her cancer diagnosis. I, too, believe they play an important role in health. Like many if not most women, estrogen-dominance is a problem, and natural progesterone balances it very effectively. For More Information: Call Dr Elena Morreale (Alternative Cancer and Health Therapies, Tampa,FL) 813-968-5404. There’s more you have to know about hormones. Being estrogen dominant causes stroke, heart attack, cancer (especially of the reproductive organs), and osteoporosis, to name a few. We need estrogen dominance in the first week of our 28-day cycle. Estrogen prepares a woman for conception, and it promotes rapid cell growth. It has its function, but when it’s excessive all month long, you can imagine how it fuels cancer growth. It also activates a cancer-stimulating gene called Bcl-2. (Progesterone, though, down-regulates that same gene). Then progesterone should become dominant during the last two weeks of our cycle, to protect pregnancy. When we don’t have enough progesterone, we get PMS symptoms. Women who balance their estrogen appropriately with bioidentical creams find that their PMS symptoms abate. Many of my patients symptoms completely, totally disappeared years ago, and they used to have moderate to severe symptoms: big mood swings, a lot of crying and general hatefulness towards people they actually loved, cramps that required drugs. All gone for many years now. They think they are balancing their hormones, with drugs. They’re not. You cannot balance your hormones with drugs. Fact is, the hormones are SIMILAR to the natural hormone produced in the body, but not the same. Testosterone and progesterone, molecularly, are very, very similar. You know they’re very different in their function, don’t you? You’d have to stare at a picture of both of them, to ascertain the tiny difference in the oxygen, carbon, and hydrogen atoms. My point is, a small molecular difference is a very big deal! And Provera, the synthetic “progesterone”-like drug prescribed to bring progesterone into balance? It’s far more dissimilar, molecularly, from natural progesterone than natural testosterone is! For 20 years, doctors prescribed women synthetic estrogen for menopause symptoms—with no progesterone for the “check and balance”—and then discovered massive rates of endometrial cancer. Women with low progesterone have a 540 percent higher incidence of cancer than women with normal progesterone levels, according to a Johns Hopkins study in the 1980’s. The Women’s Health Initiative studied 16,000 women receiving Hormone Replacement Therapy (HRT, or synthetic, hormone-similar drugs) from 1997 to 2005. However, in 2002 the study was stopped, because the women were experiencing so many life-threatening side effects. No bioidentical hormones were used in the study. Only Premarin, an estrogen so named because it is made from PREgnant MAres’ uRINe, and the highly dangerous Provera, a progestin, or drug that is similar to, but different than, natural progesterone. Another huge study published in JAMA in 2000, followed 46,000 women prescribed Premarin and Provera and discovered that if they use HRT for five years, their breast cancer rate was 40 percent higher than women not using HRT! At this point, in my opinion, prescribing these drugs equates to malpractice. But have they been taken off the market? Of course not. They are still the most common form of HRT prescribed today, in combination! It’s easy and inexpensive to use natural “bioidentical” hormone, which simply means that it is molecularly identical to the hormone produced in the body. So why don’t more people use it? More docs know the research, which proves that using bioidentical hormone PREVENTS cancer, and using synthetic facsimiles CAUSE cancer. Still, most don’t. Most continue to prescribe synthetic drugs well documented to cause cancer and a host of other problems in tens of thousands of women. For More Information: Call Dr Elena Morreale (Alternative Cancer and Health Therapies, Tampa, FL) 813-968-5404. Isoflavones and coumestans are the strongest classes of these nutrients, ten times stronger than the others. Legumes have the highest concentration of both isoflavones and coumestans. 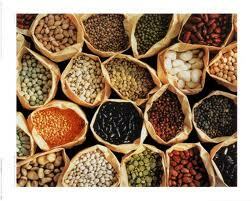 In countries where women suffer the least from PMS and menopause—Asia, South and Central America–legumes are staples. In the U.S., we eat meat instead of legumes. And meat is heavy to digest: acidic, highly estrogenic, free of fiber, and low in micronutrients. You can’t always control the smog you’re exposed to—but you can certainly control what you put in your mouth. Some disease factors are fully in your control, and the flip side, when you follow the rules, is that you have stable mood, youthfulness, and pretty skin, hair and nails. Because when you lose your female hormones, it’s your body’s signal to begin dying. Who wants THAT? Not me. Here’s the good news. You don’t have to chase berries up the Himalayan mountains to get a variety of these compounds in your diet. These are found in virtually every vegetable, fruit, seed, legume, and grain. Shocker! It’s the diet I teach. All paths lead to Rome, don’t they? It’s not an agenda of mine—it’s science. It’s like shootin’ fish in a barrel, to prove to you why you should EAT MORE PLANTS. The reasons are so many, to shift to this kind of diet, I can hardly enumerate them! A simple progression in a year of transition, and you, too, could be eating the most disease-preventative diet possible. While living in the “real world,” traveling, going to parties, and having a normal social life. It’s possible. I do it. Next we talk a little about specifics of estrogen and progesterone. Remember #HealthIsAChoice. We are here to help, Your health is Our Priority! This series is to educate you about female issues with hormones, and your alternatives to drug solutions. So you may seek competent medical advice from a holistic practitioner. But read this if you have two X chromosomes, or love someone who does! We women are loaded for risk, at every turn in the modern world, and our endocrine system is fragile. I believe that depression, fragile bones, reproductive cancers, and rapid aging are highly preventable, with a little education and a little good health care that deals with the whole organism. Hormones are never actually “corrected” with a synthetic chemical solution. Quite the opposite, in fact. We have to be educated about what is happening to us, in an environment where 80,000 chemicals have been approved for use by our government, and many of them damage our hormone balance. In the briefest possibly way, we’re going to talk about why women have more hormone issues than men. Why synthetic hormones are harmful and bioidentical hormones (and/or sometimes herbs, high-iodine plants or other natural substances) are not only helpful, but critical. We’re going to talk about what elements in our environment create hormone imbalance. The vast majority of hormone imbalance in women is estrogen dominance. The ratio of estrogen to progesterone is critically important to maintain balance. Because of so many xenoestrogens (pronounced zeno-estrogens) in the S.A.D. (Standard American Diet) and environment, most women have too much estrogen and too little progesterone. Xenoestrogens are “foreign” estrogens that cause the body to overproduce estrogen. They are derived from petrochemicals, and they include pesticides, lawn and garden and insect sprays, soaps, plastics, meat and dairy products (since livestock is fed estrogenic drugs to fatten them), ground water, car exhaust, and smog.These chemicals we’re all bombarded with bind to estrogen receptors in our bodies, and damage egg follicles, causing problems with ovarian function. These xenohormones do not degrade over time. We are affected by the false hormones our mothers were exposed to when they were pregnant with us! Many species in our environment have been damaged or killed off by these chemicals, but they are reducing sperm count and reducing fertility in women. Alcohol and prescription drugs also affect our estrogen dominance, because the liver is heavily taxed, which compromises the liver’s ability to filter out excess estrogens. And guess what else causes to over-produce estrogen. Fat cells! They store the fake “xenoestrogens” as well, which continue to cause problems as long as they’re held there. Next we will talk about the kinds of foods known to protect against xenoestrogens! We are here to help, YOUR health is OUR priority! From New Zealand on May 23, 2014, comes the above headline and story in NZDoctor reporting on research conducted at the New Zealand College of Chiropractic. The research shows that failure to control or properly activate one’s core muscles can lead to injury such as spinal injuries. Chiropractic care can help prevent these issues by removing interference to the nervous system from spinal subluxations. Many athletes use chiropractic care for performance enhancement, and prior studies have shown that athletes under chiropractic care improve their reactions times. This newest study adds another explanation of how athletic performance and injury prevention are improved under chiropractic care. Remember #HealthIsAPriority. Your Health is our priority, WE are here to help. For More Information: Call Dr Elena Morreale (Alternative Cancer and Health Therapies, Tampa, FL)813-968-5404 . There is no better time than the present to fortify our diet and cement healthy eating. Ironically, while healthy eating is our birthright, for many of us it seems like taking the plunge into eating a whole foods-based diet is the equivalent to traveling to outer space. But it doesn’t have to be such a scary or foreign experience. In my work as a functional medicine doctor, my priority is to guide each patient through a safe, simple, realistic, and pleasurable transition into healthy eating. Because whole foods-based diets remove all the sugary, fatty, chemical-laden, artificial stuff from the diet, they sometimes get called a detox or a cleanse. When our bodies become toxic it means that our natural method of eliminating metabolic waste from normal human metabolism, environmental pollution, and what has become known as the Standard American Diet (or SAD) has exceeded the threshold for what the body’s innate detoxification system can tolerate. With this toxic load, every system in the human body can become affected. From our head to our toes and everything in between, and toxicity makes us sick! How do you know if you are toxic and need to properly cleanse? How long should you stay on a cleanse? Typical cleanses that harness our body’s natural processes for filtering and removing waste tend to be gentle and can therefore be tolerated for longer periods of time than more extreme protocols. A safe cleanse is one which doesn’t make you starve yourself or take fancy pills, potions, or expensive drinks. Safety means allowing the body to do what it wants to do naturally, with a little assistance from some guided healthy eating, appropriate supplements, and relevant lifestyle modifications. I usually have my patients do a cleanse for 7 days to 6 weeks, or even longer, depending on their particular needs. How to prepare for a cleanse? We need to prepare, plan, and set out some main goals for our journey. So how can we plan for a safe and simple detoxification protocol? 1. Take some basic measurements before you begin to track your progress as you go through your program. For example, if weight loss is your goal, measure your waist, hips, and record your weight. If, migraines are an issue, determine the duration, intensity and frequency. Keep a journal; this will help you in more ways than one! 2. Make lists! Organize your pantry, toss out the junk, gather recipes, sketch out weekly menus, make shopping lists for healthy foods you will be eating and formulate a cooking schedule to ensure you allot time to prepare food for the week. 3. Use journaling as a way to “cleanse” your inner world and relieve yourself of mental and emotional stress. 4. Gather any supplements you need to take that have been advised for you by your medical provider. 5. Think about the kind of exercise that will best complement your end goal and plan for it in your schedule. 6. Detoxification requires you to slow down. Make sure you fit time for deep relaxation into your plan. · Constipation. Move those bowels! Drink plenty of purified water. Use a probiotic and digestive enzyme! · Food allergies or sensitivities. These can be obvious or obscure. But chances are, as your body lets go of toxic waste, it will be easier to recognize a hidden reaction to gluten, dairy, soy or any of the other common food allergies. The following symptoms are very common at the beginning of the program and should dissipate within the first few days. Don’t worry, these symptoms are indicative that your body is eliminating toxins and are a good sign! These symptoms can occur for a number of reasons. First, eliminating food allergies and un-junking the diet causes reactions similar to withdrawal from other addictive substances like caffeine, alcohol, nicotine, cocaine, or heroin. Note: We are often most addicted to the foods we are allergic to! Getting off those allergens can cause a brief, flu-like achy syndrome that may last one to three days. Second, toxins in our digestive tract may make us feel ill if we don’t eliminate them. The best way to get relief from these symptoms is to follow the recommendations below. Initially, those who consume the most caffeine, alcohol, and sugar, and those who have the most food allergies, will have the most difficulty. Symptoms usually disappear after three to four days. It is best to slowly reduce your intake of caffeine, alcohol, sugar, white flour, and over-the-counter medications (except as directed by your physician) a week or two before you start your program. 1. Drink at least six to eight glasses of filtered water daily. Stay away from plastic bottles; glass bottles are okay. 2. To prevent headaches, make sure your bowels are clean. You should be having at least 2-3 bowel movements per day! 3. Fatigue is normal during a cleanse so allow more time for rest and sleep. To boost energy, exercise for 30 minutes a day. Walking outside in fresh air is best. Roll up those sleeves and let the sun hit you with some vitamin D! 4. Don’t wait until you are starving to eat! Balance your blood sugar by eating protein-based meals and snacks every three to four hours. 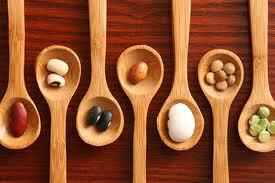 Excellent sources of protein are baked or broiled fish, lean poultry, and legumes such as edamame or black beans. 5. Heat is a great resource while cleansing as it helps draw out toxins from within. Try a sauna or a warm bath (with ¼ cup apple cider vinegar added to the water) for 20 minutes a few times per week. 6. While safe, these types of cleanses can still be stressful on the body and mind so remember to relax. Actively engaging your parasympathetic nervous system helps restore your energy which your body needs to replenish itself. Meditation, deep breathing, or any calming activity is good. 7. Eliminate all refined sugars, flours, caffeine, alcohol, dairy, gluten, or addictive substances. By allowing certain triggers to stay in the diet the body stays on the vicious cycle of cravings and addictive behavior. Reset your biology to eliminate all triggers. 8. Keep a journal and track your symptoms. You should feel better in three to seven days. If you do not feel well at this point, please exercise caution and check in with your doctor. 9. Tune in to your body and listen to the cues it provides. A cleanse is a great journey to learn more about understanding how to operate your very own owner’s manual! Remember #HealthIsAChoice Our Priority is your Health and we are here to help.